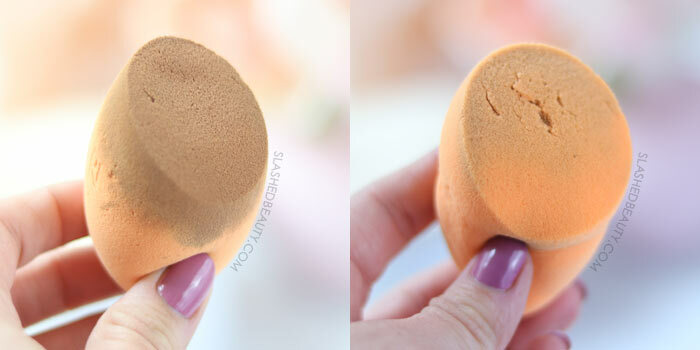 There’s a beauty hack that’s been circulating the internet for the past couple years when it comes to cleaning makeup sponges that I’ve been dying to try. 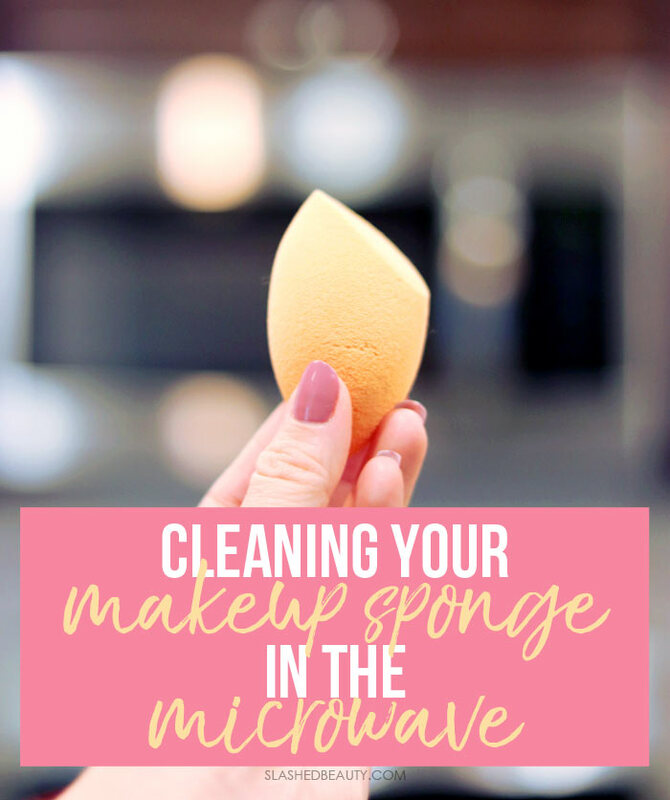 Several people have shared their success with cleaning makeup sponges in the microwave, removing all built up makeup residue and getting a squeaky clean appearance. I’ll admit: I’m the worst about cleaning my sponges. 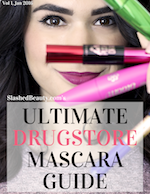 I let the makeup collect for weeks before finally trying to squeeze it all out with soap and water (do as I say and not as I do, people!). 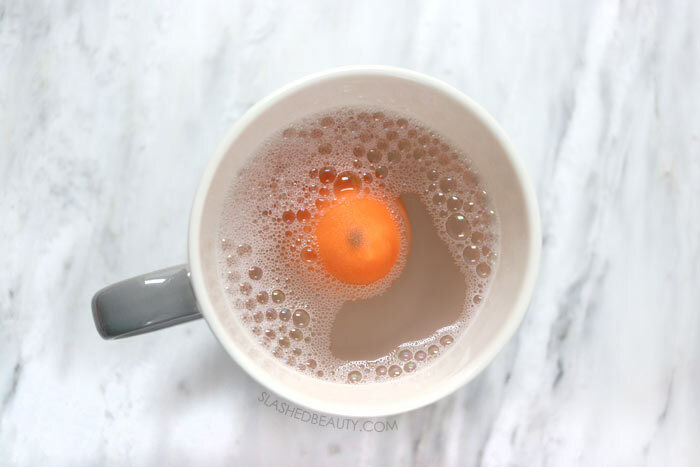 So I decided to try it out using a Real Techniques Miracle Complexion Sponge that was in dire need of a wash.
Here’s how it’s supposed to work: fill a microwave-safe mug with soap and water, plop your sponge in, and microwave it on high for about a minute. Let it cool, then rinse and squeeze. Then, you can repeat the process if your sponge isn’t completely clean yet. If you try this, please be smart about it. Realize that even if the surface of the sponge has cooled off, there’s still probably hot water soaked up inside. I definitely almost burned my hand while squeezing out the soapy water. On the first go around, a lot of makeup came out of my sponge, but I could tell there was still a lot of residue soaked up inside. I ended up repeating the process once. This was the final result— you can see that I got a lot of the makeup off, though there’s still some staining toward the very top of the sponge that was being stubborn. Pretty dramatic results nonetheless, but I’m not quite sure I’d actually recommend this method. Honestly, I felt that this method completely ruined my sponge. Granted, I’ve been using this particular sponge for about six months and it was time to be replaced anyway— but check out those new rips on the surface in the before/after! Those weren’t there beforehand, and appeared as I was rinsing and squeezing after it came out of the microwave. I wasn’t being any more rough than if I were washing the sponge using my normal method of brush shampoo and water, so there’s no reason besides the heat that I could think would cause this. On top of that, the sponge became completely misshapen and wouldn’t bounce back to it’s normal teardrop shape. Once I squeezed all the water and soap out, it completely lost its ability to reshape itself. Even after drying for hours, it was lumpy and lost all bounce factor. I can’t say whether or not this would have happened on a newer sponge, or even a more expensive sponge like the original beautyblender. 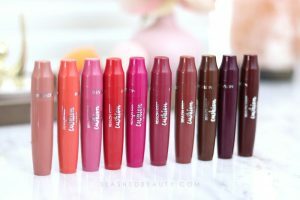 But I, for one, am not in the business of wasting money trying to test theories on my beauty tools. Plus, I don’t think it really saved all that much time. It doesn’t take a long time for me to clean my sponges with brush shampoo or the beautyblender solid cleanser to begin with… I just always forget! 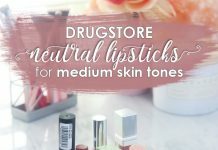 So honestly, I’d skip this particular beauty hack and do it the right way… and often! 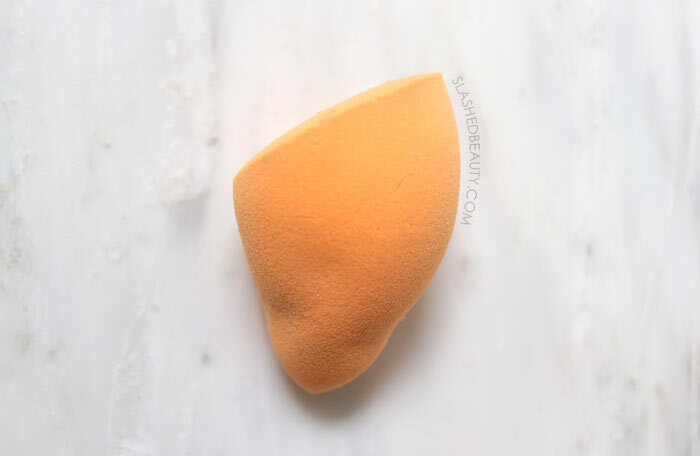 Have you ever tried to clean your makeup sponge in the microwave? I thought microwaving sponges was supposed to be supplemental for killing germs. I clean mine with soap, rinse it out, squeeze all the water out, and THEN microwave it. People started doing it to actually drain the makeup out of it. Ok , so when I first saw this making the rounds…I tried it. I purposely dirtied up a sponge I was about to toss, and tried it. I got nothin. It didn’t clean it out, it looked the same basically. Aside from the potential disinfecting with the hot water, I don’t feel like this is a good idea. I wash my sponge every time I use it now ( I alternate between brushes and my sponge) so that keeps it cleaner then letting it be dirty for weeks and then trying to wash it. Yeah I can definitely see how it would disinfect it but it took too much effort/ruined the sponge to repeatedly go through the micro in order to drain the makeup out of it. Yep, keeping up with washing the sponge the old fashioned way is going to be my routine now too! Thanks for commenting!! Never tried this but heard of it. I clean my sponges with Dawn dish soap and hot water. Seems to work pretty well for my sponges. Dawn works AWESOME at getting really caked in makeup off. I’ll use that if there a particular brush I have avoided cleaning for a while. The only thing is, it can dry out some brushes or change the texture so I usually use proper brush shampoo now. Yesss I completely agree it does not save any more time than washing a sponge regularly… And they never get their shape back I kind of feel like they don’t last as long as they normally do ( at least for me i keep them for EVER LOL) After putting it in the microwave. I was so bummed when it got misshapen, and also completely stopped being bouncy!